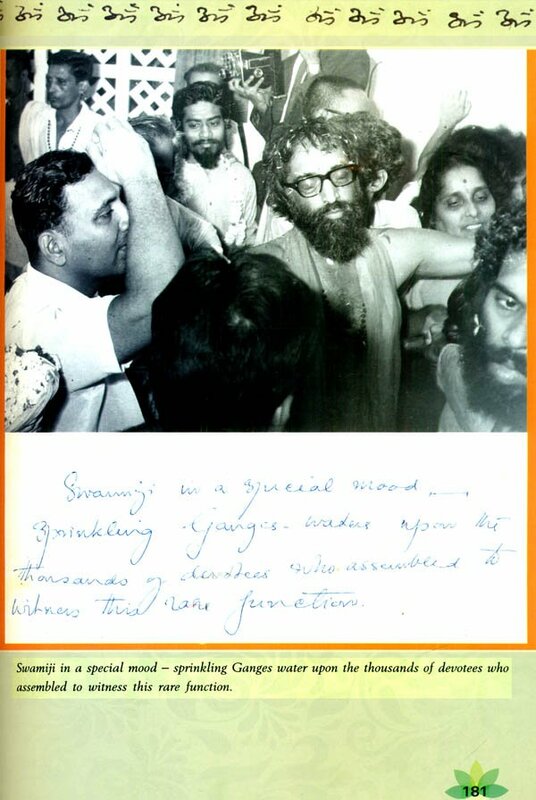 Pujya Gurudev Swami Chinmayananda’s early life is featured in this book through his own writings, to his mother and sisters, and through the recollections of his friends and family. 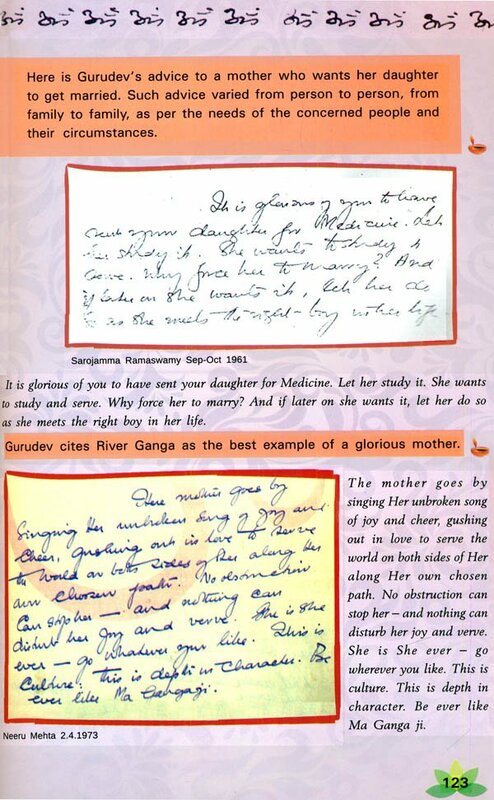 Hitherto unpublished notes in his own hand handwriting give us a glimpse of his student days with Swami Tapovan Maharaj. 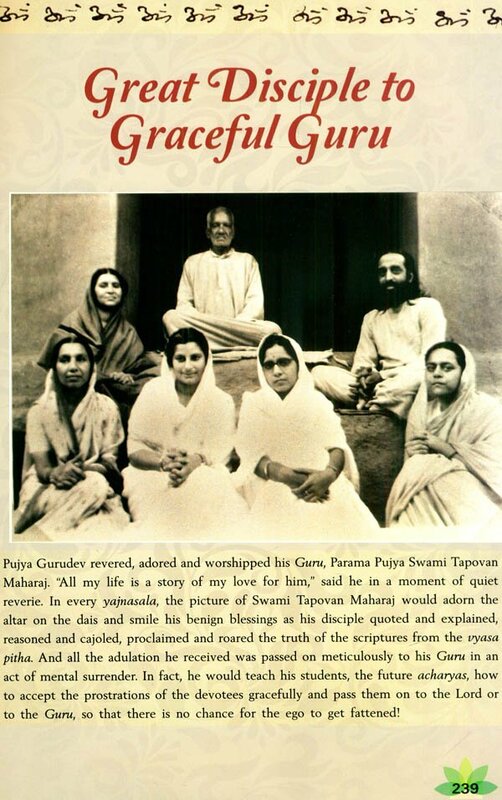 The detailed family tree pf Pujya Gurudev’s premonastic life is another very interesting presentation here. There is shower of letters on almost all aspects of life-marriage, parenting, administration, running Balavihars and CHYK groups, organizing jnana yajnas, personal sadhana, to mention only a few. In and through it all runs an irrepressible vein of wit and humour that makes it difficult to put the book down. How many of us know that Pujya Gurudev was good at sketching? 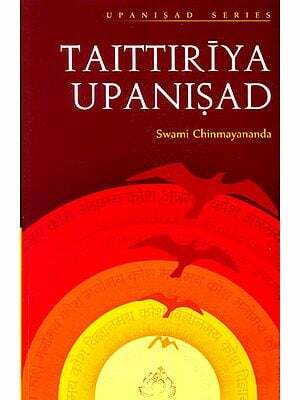 His vast knowledge of arts and architecture, gardening and landscaping, his amazing grasp of the common problems faced by us in daily life-this book brings out all this and much more about the brilliant and scintillating personality of Swami Chinmayananda, whom most of us have known only as great spiritual teacher. Puja Gurudev brought joy wherever he went. So did his letters. The bold and well-loved handwriting on the envelope would the recipient’s heart jump with joy. Today, in the inevitable waiting for the smail mail made the letters sweeter still. 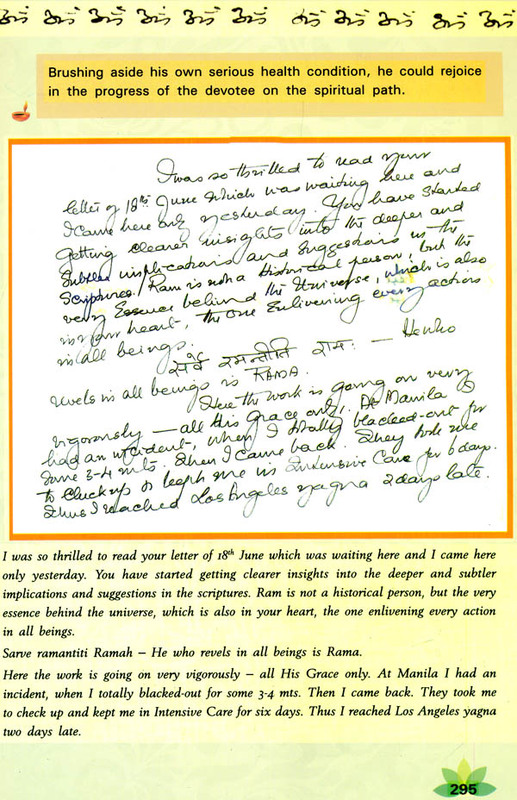 When I was studying with Pujya Gurudev in Uttarkashi, he used to give me 40-50 letters to post every day. The first day I took the bundle and waited in the queue to buy stamps in the post office. The next also I stood queue. On the third day, seeing me standing with the bundle, the postmaster called me inside, gave me the stamps and thereafter I did not have to stand in the queue at all. 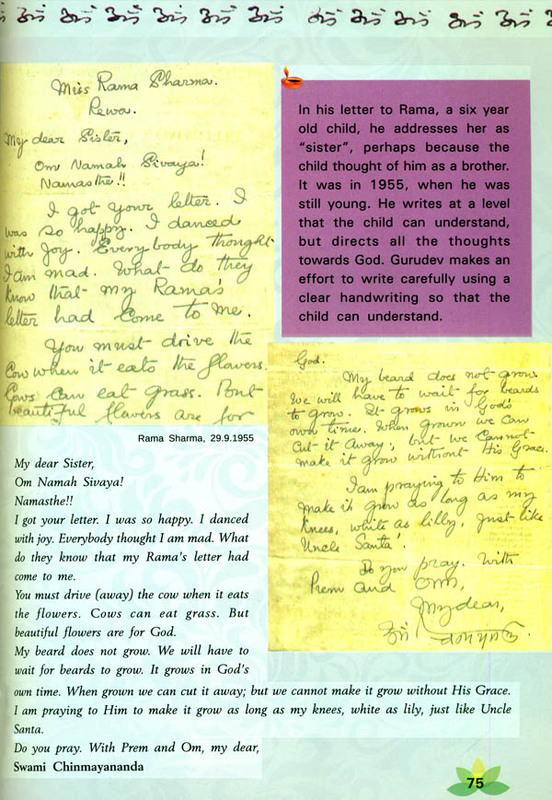 Sri Gurudev’s letters live on even today and bring as much joy to the readers as they did to the person to whom they were addressed. I take this opportunity to thank all those who preserved his letters and shared the original letters or the copies Chinmaya Archives in Mumbai. 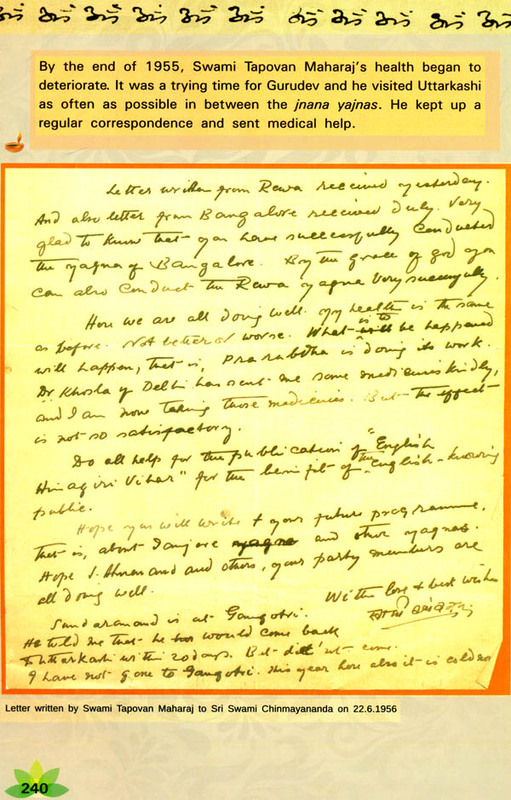 Sri Bhatia started collecting the letters and that seed of Chinmaya Archives. Brni. Prarthana Chaitanya continued the good work and now we have more than 15,000 letters in the archives. That is probably a small fraction of the total number of letters he wrote in his lifetime. Small collections of his letters have been published earlier under the title Vedanta through Letters in two volumes. The scope of the present book is entirely different, as you can see from the colourful volume in your hands. Brni. 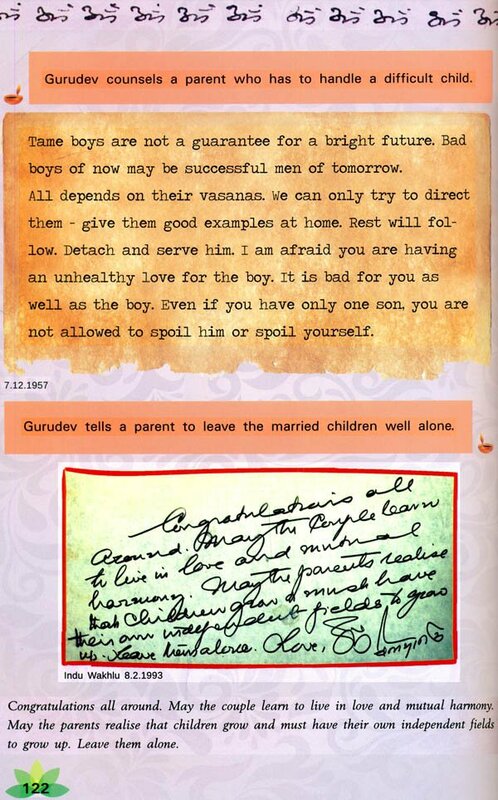 Prarthana Chaitanya has conducted extensive interviews, and weaving together the material in the archives, a brief sketch of Pujya Gurudev’s early years is presented in the first section of the book. The section presents interesting excerpts from the letters under different headings. The very first time I saw Pujya Gurudev, I Knew he was great, but till today I have not understood the depth of his greatness. Every day there is a new discovery. And the letters presented here open up new vistas of his greatness. I congratulate Brni. Prarthana Chaitanya and Smt. 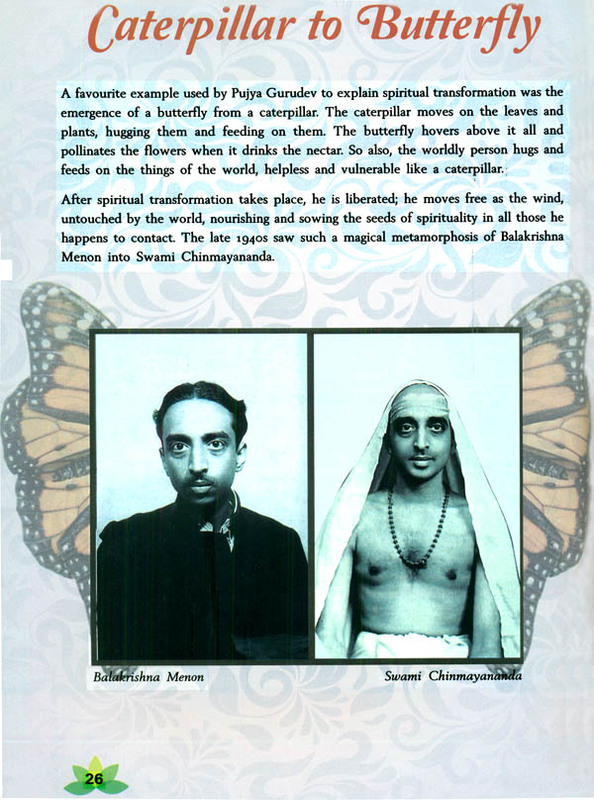 Parvathy Raman, editor Tapovan Prasad magazine, for compiling, writing and editing the book Yours Forever: Life and Letters of Swami Chinmayananda. 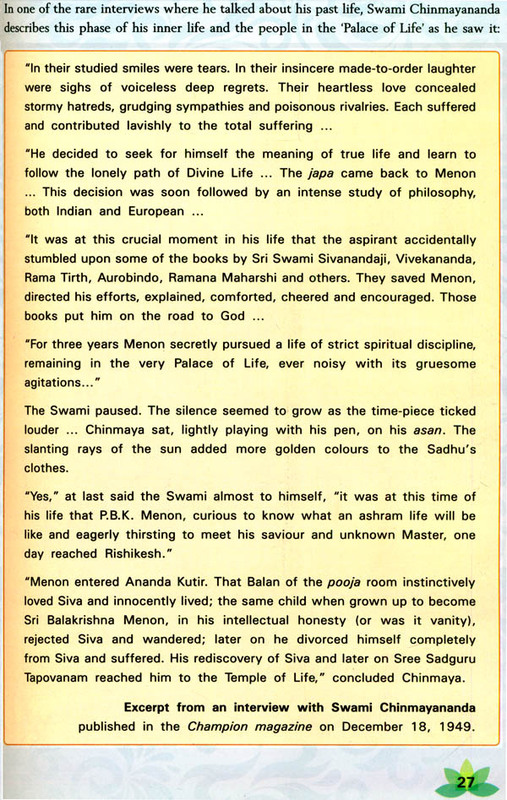 Writing this book was an experience in living with Pujaya Gurudev day after day. We soaked ourselves in his letters, his thoughts, his thoughts, and felt him guiding us by the hand through the pages of the book. We do hope that all of you who read this book will also will also have the same experience. Pujya Gurudev dedicated his entire life for the welfare of the people, and that means all of us. And he continues to remain our guiding light. Hence the title “Yours Forever”. Moreover, on the occasion of his birth centenary, all of us, as members of Chinmaya Mission, rededicate ourselves to him-“Yours Forever”. For each one of us, this book will remain a companion forever. The first section of the books presents invaluable information about Pujya Gurudev’s early life through his own letters and notes, complemented by the recollections of family members and frinds who were close to him in his premonastic days. The second section “Through the Windows of His Words” offers us dual benefit. 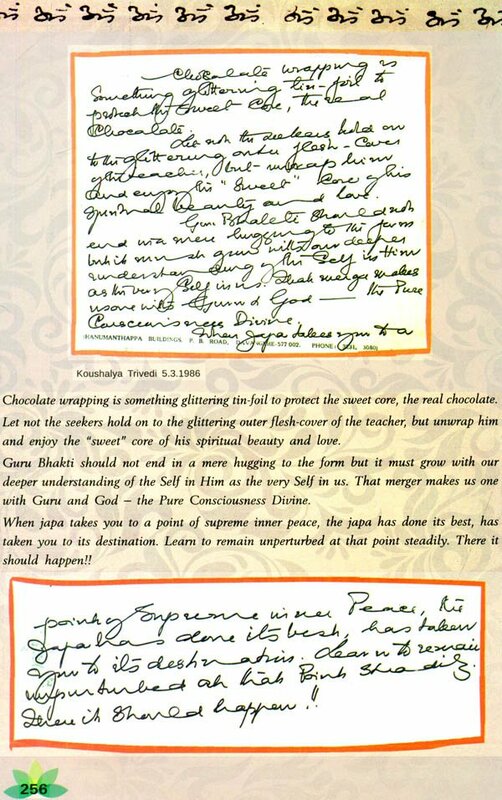 The selected excerpts of letters allow us to look at the world through the windows of his words, the vision of the world that he opened up for us. But the windows also offer us a peep into the personality of Pujaya Gurudev, the multi-brilliance of which defies all description. 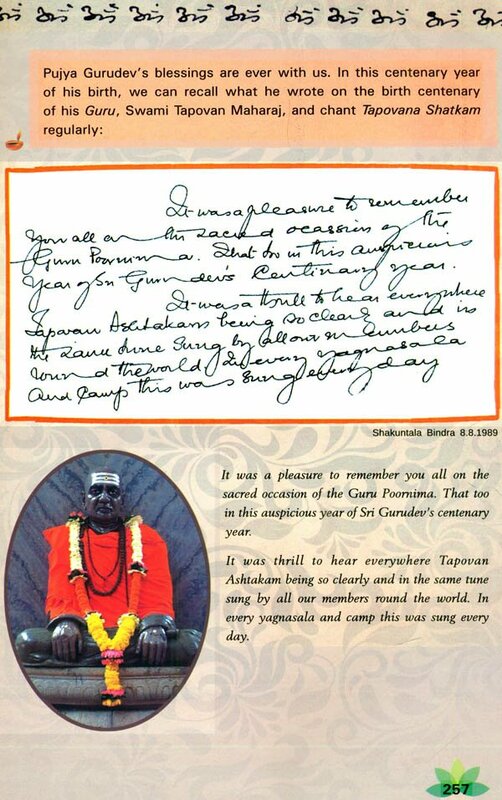 All the sketches and cartoons in this book, including that on the front cover, were originally drawn by Pujya Gurudev. For ease of reading, the content of each handwritten letter is given in typed font right below it. 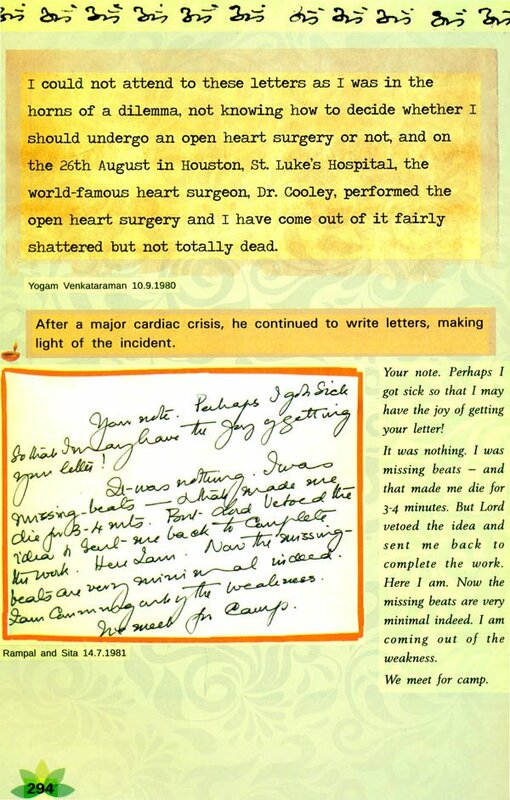 The names of the persons to whom the letters were addressed and the dates on which they were written are mentioned in small font under each letter. Wherever the picture details are known, we have captioned them. 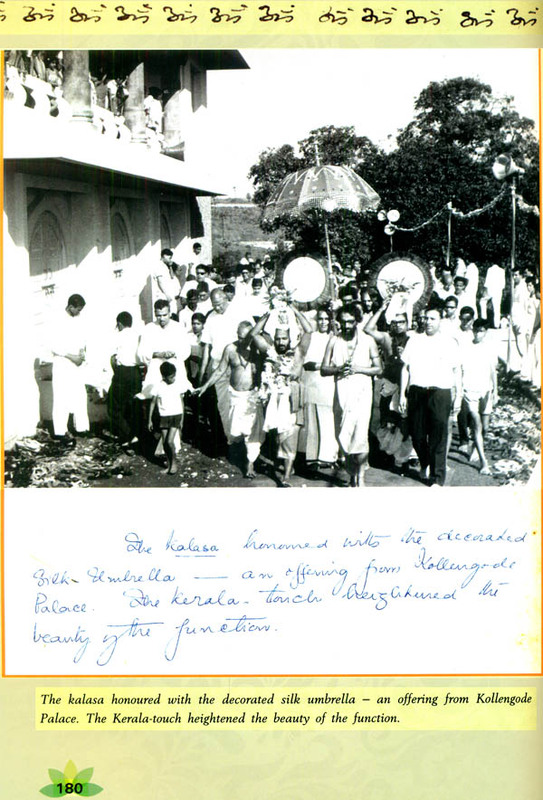 We acknowledge, with immense gratitude, the hundreds of people whose efforts at preserving and sharing Pujya Gurudev’s letters and photographs have made this book possible. We are especially indebted to Smt. Anjali Singh, who has painstakingly collected and digitized hundreds of photographs of Pujya Gurudev. We also take this opportunity to thank all those who allowed their memories of Gurudev to be captured in the form of interviews for the archives. Special thanks to Smt. Indira and Sri Vasudevan, the devoted couple who were related to Pujya Gurudev in his premonastic days. They gave us a lot of information about his early Years. They helped to collate the family tree, which is presented at the end of the book. Our heartfelt thanks to the generous donors whose contributions made it possible to see this book in print. Smt. Devna Nandakumar’s help was invaluable in classifying, selecting and transcribing the excerpts from the collection of letters. We are beholden to the entire staff of the Chinmaya Archives department for helping us in accessing and retrieving information, letter scans and photographs as needed. Sri Krishna Prasad, Director of Mot Just Communication Services Pvt. 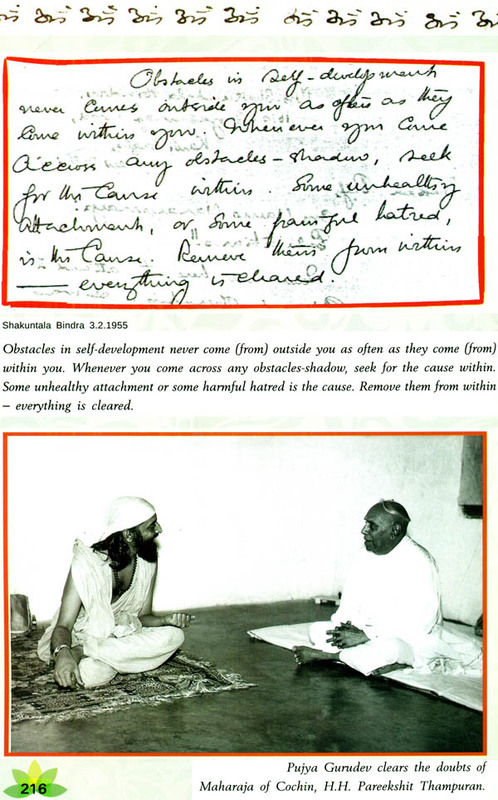 Ltd. has offered his unstinted support for this book, and his of Sri G. Shankar and Smt. S. Gomathi, the dedicated couple who have been serving Tapovan Prasad for many years, have designed this book with creative enthusiasm and commitment. We invoke Pujya Gurudev’s blessings on them and their family. We are also thankful to the CCMT Designs team (Chinmaya Kalpanam) which came forward with timely help to create the front cover. Chennai Micro Print (P) Ltd. has been printing the magazines Tapovan Prasad, Chinmaya Udghosh and many other books of Chinmaya Mission. We thank the director, Sri S. Ramu, for printing this book and supporting Mission activities on many occasions. 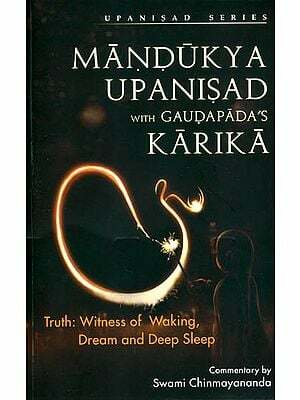 Two years ago, when we approached Pujya Guruji Swami Tejomayananda for permission to bring out this book, he laid down two conditions: the book should be unique and there should be no repetition of what has been published already. We do hope we fulfilled both conditions and he is pleased with our efforts. We place this offering at the feet of Sri Gurudev and seek his blessings to light our path in the years to come. Unto Him Our Best!